North Carolina is home to some of the most beautiful beaches on the East Coast. Every year hundreds of people travel from all over the country to explore the Outer Banks and enjoy spending time on our gorgeous sandy coasts. 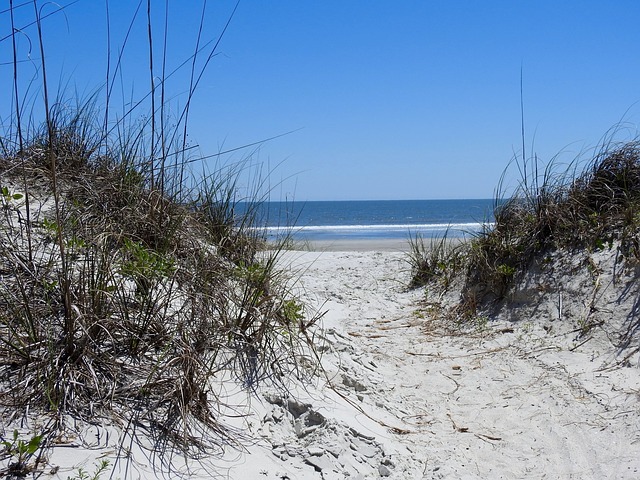 In Clayton, NC we’re lucky to live just a couple of hours from these amazing beaches, which means all the perks of being able to visit the beach without having to deal with the downsides of living close to the ocean–like saltwater rust on your car and sand getting everywhere. 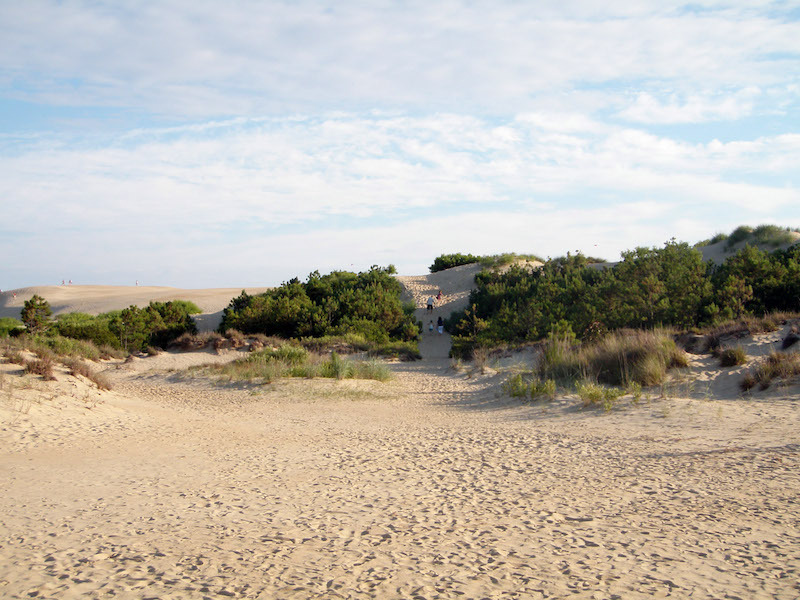 The Outer Banks is an extension of The Walk at East Village community–you can easily go for the weekend or take a day trip to many famous beaches in the area. There’s so much to do and explore you could go every weekend and still find new things to do. As the largest costal city in North Carolina, Wilmington has a ton of awesome activities. Check out the World War II Battleship North Carolina, which has been widely recognized as one of the best museum ships. There’s plenty of spectacular shopping options and amazing restaurants. With 17 museums in the downtown area alone, you could spend days exploring all of the incredible museums Wilmington has to offer. If you’re looking for a fantastic beach that you can do a day trip to, Wrightsville Beach just outside of Wilmington is a fantastic option. The best part is, Wrightsville Beach is only an hour and a half away from Clayton. You could easily drive over in the morning, spend the day, and head home after dinner. Beaufort and neighboring Morehead City are only about 2 and a half hours from Clayton. These are towns rich in history. Both are excellent locations for food and shopping. 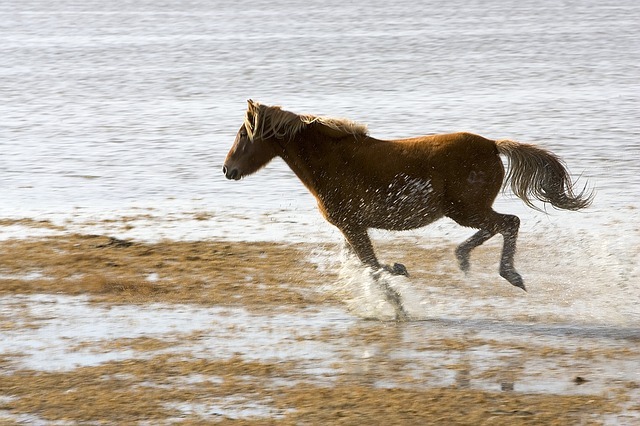 Visit the Rachel Carson Costal Estuarine Reserve to see the famous wild horses. Beaufort and Morehead City both also feature excellent fishing spots. If you love fishing, I definitely recommend making a trip out here. Not to mention, on the way you’ll pass through historic New Bern, giving you the perfect opportunity to stop by and explore. As North Carolina’s first capital and the birthplace of Pepsi Cola, there’s a ton to check out here. Southport is also only about 2 and a half hours from Clayton. It’s a beautiful riverside town situated at the end of the Cape Fear River which separates mainland North Carolina from the Outer Banks. In Southport, you’re just a ferry ride away from Bald Head Island, where you can visit the famous Bald Head Island Lighthouse. In fact, North Carolina has a number of light houses up and down the Outer Banks. They’re truly amazing sights that you’ll definitely want to check out. Why not visit the place that earned North Carolina the title “First in Flight.” Visit the Wright Brothers memorial and see exactly where the first flight took place. To this day you can still climb Jockey’s Ridge, and for the truly adventurous, you can take a flight of your own by hang-gliding. And while you’re there, the towns of Duck and Corolla are just up the road. Duck is a popular spot for shopping with a beautiful beach. Corolla is well known for its wild horses. Definitely worth a visit! Myrtle Beach frequently ranks among top beaches in the country, and, despite being in South Carolina, is only 3 hours away from The Walk at East Village. Take advantage of Myrtle Beach’s 30 miles of coastline and premier golf courses. Find out why Myrtle Beach, South Carolina attracts so many out-of-towners every year. Ready to Embrace this Lifestyle? If being able to day trip to the beach whenever you want sounds like a good deal to you, give us a call! We’d be happy to talk with you about the different homes we have available.